During his State of the Union address on Tuesday night, Trump noted that he supports investing in the, “industries of the future,” reportedly a nod to 5G and AI. The administration is expected to push for increased spending on researching and developing new technologies and using governmental data to improve artificial intelligence, according to the Journal. During a Senate Commerce Committee hearing on Wednesday, senators raised concerns that China could win the race to 5G, and that Chinese telecom giants such as ZTE and Huawei could hack U.S. 5G technology, Inside Towers reported. 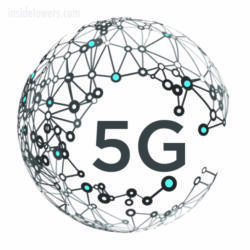 Ranking Member Sen. Maria Cantwell (D-WA), said: “We must be certain that there is a secure supply chain backing up our 5G system,” with no “back-door into these networks.” She called on the Trump administration to provide Congress with “a real, quantifiable 5G threat assessment.” Comments? Email Us.